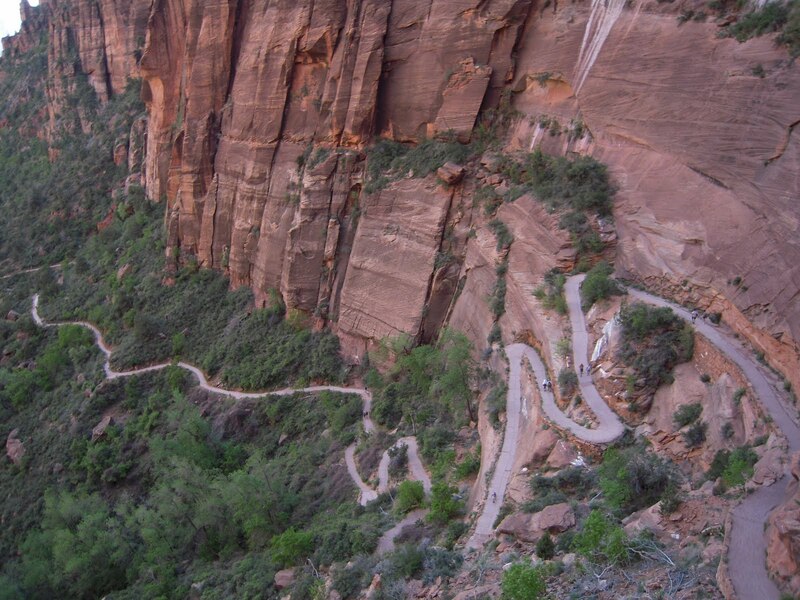 So this summer I’ve decided to stay in the US and travel over to Utah to check what my friends have told me is one of the most beautiful national parks in America. As soon as I arrived I saw exactly what they were talking about. Once we drove through the tunnel and down some of the switchbacks we were surrounded by the giant canyon walls that surround most of the park. It wasn’t long until we got to our camping spot and began setting up. Since it was early enough when we arrived, we decided to pick a hike to go on. 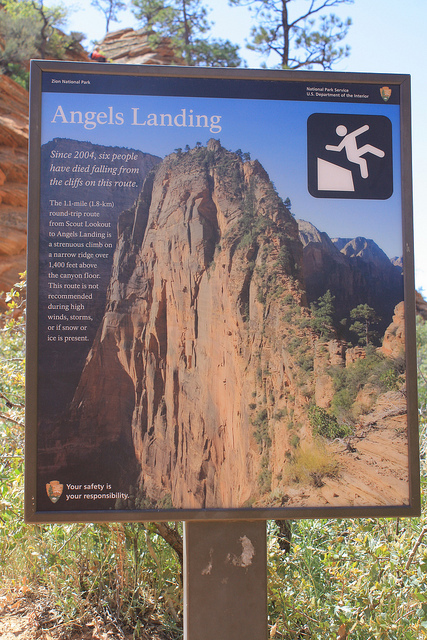 We decided to check out Angel’s Landing — one of the more difficult hikes, but a staple of Zion National Park. After grabbing some snacks, water, and our gear, we hopped on the shuttle and made our way over to the base of the hike. On our way up we saw some hikers coming down who looked absolutely exhausted. And for good reason, too. One of them told us to go slow and enjoy the view. Another told us they hope we brought plenty of snacks and water because the hike would take at least 4-5 hours! We started making our way up and after a while could see what the two hikers we talked to were talking about. 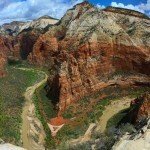 Angel’s Landing is a great way to see almost the entire park. Since we started hiking around 11, the sun was beating down on us pretty much the entire hike. There were areas where we were in the shade, but doing the notorious switchbacks was not fun in the sun. The food and drinks were a HUGE help for keeping our energy up for one of these canyon tours! Signs adorn the toughest (and scariest) part of the hike which basically tell hikers that people have died on the following parts of the hike. 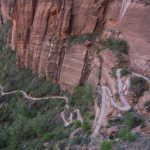 Climbers have to use a chain to hold onto as they walk across the slim path of the mountain top. If you’re afraid of heights, I’d skip this part because as you look over your back, you see a straight drop to your potential death. Fun stuff! It’s all worth it when you finally get to the top of the mountain. It’s definitely an incredible feeling of accomplishment standing on the “landing.” Looking on either side of you, you see the incredible canyon scenery. 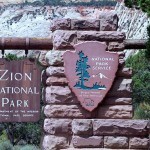 Can’t wait to explore some other hikes and see what Zion has in store for us!